Sleep Disorders are a common problem for many people and will affect them one time or another in their lives. Causes are usually down to stress, illness, temporary interruptions to your normal routine or travel. If a sleep problem is a regular occurrence and is interfering with your daily lifestyle, you may be suffering with a sleep disorder. Sleep disorders can affect you day and night and can take a serious strain on your mental and physical health. This can lead to weight gain, can affect your energy and mood, as well as even causing memory problems. However, don’t despair; it doesn’t have to become a part of your life in this day and age, as there has been thousands of studies to help you get a good night sleep which will help improve your health. Many of us experience occasional sleep problems, so how do we know if it is just a minor passing annoyance or a sign of a sleep disorder? The best way to tell if you have a sleep disorder is to take a look into the daytime signs. If you said ‘yes’ to any of these symptoms on a regular basis, you may be suffering from a sleep disorder. The more you have answered ‘yes’, the more likely you have a sleep disorder. Insomnia is the inability to sleep or sleep well at night. This can be caused by stress, jet lag, health conditions, medication or caffeine. Other causes can be depression or anxiety. Restless leg syndrome is a sleep disorder that causes an irresistible urge to move your legs (or arms) at night. The urge to move occurs when your resting or lying down and is usually due to uncomfortable creeping, aching, tingling or some sort of sensation. Narcolepsy involves excessive, uncontrollable day time sleepiness. It is caused by a dysfunction in the mechanics of the brain that control sleeping and waking. How massage can help you get a restful and restorative sleep? Massage can help in a number of ways to help you sleep better and should be used in combination with other treatments to help improve your sleep. Massage can help boost your Serotonin levels, the “feel good” neurotransmitter. Serotonin is usually low in people who struggle to stay asleep and as a result are awake throughout the night. Massage can also lower your Cortisol levels (Cortisol is also known as a major stress hormone). If you have a high level of Cortisol this can disrupt your sleep patterns in a major way. It can keep you up all night. 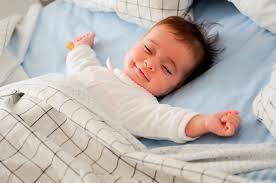 If you are able to fall asleep it can wake you in the middle of the night and prevent you from falling to sleep. Massage is commonly used to reduce pain. There are certain types of treatments the LIFESTYLE clinic uses to reduce pain. If pain is what is keeping you up at night then by increasing the blood flow to the muscles, releasing the build up of tension in the muscles and releasing natural pain killers already stored within the body, this is used to help you relax physically and mentally.